Our first foray into ecosystem restoration. 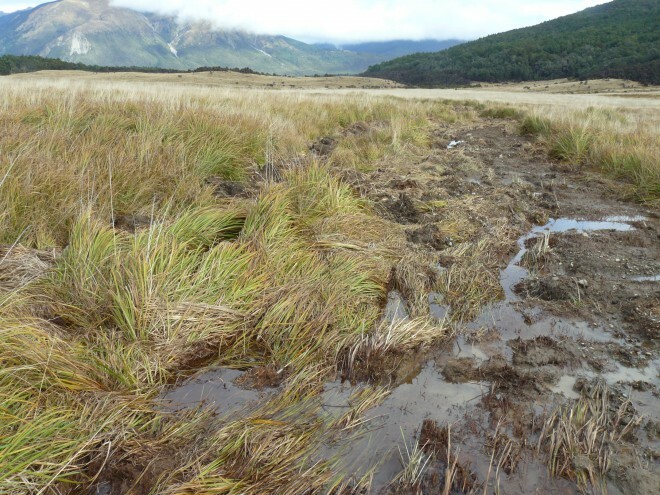 Black Valley Wetland is a rare example of a montane bog, many having been destroyed by draining with loss of the plants and animals therein. This one is special as it is right by a significant tourist area and so also has advocacy potential. Restoration will also restore to natural functioning the only developed catchment of Lake Rotoiti. 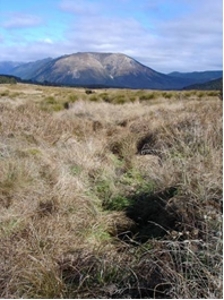 Black Valley Wetland is at the head of the Black Valley Stream, St Arnaud. Black Valley Stream flows though the village of St Arnaud into Lake Rotoiti in the Nelson Lakes National Park. The wetland feeds the headwaters of the Buller/Kawatiri River – New Zealand’s longest undammed waterway. Until 1985, the wetland was in private ownership and had been drained and grazed for nearly 100 years. Limited attempts to restore the hydrology were made in the early ‘90s. The natural hydrological functioning and ecology of the wetland remains compromised by the extensive network of deep channel drains, but even so, it is the best montane valley floor wetland that remains in the ecological district. It is also highly visible from the highway, forming a significant part of the gateway to Nelson Lakes National Park. The wetland is important for the future health of Lake Rotoiti because it is the only developed catchment of the lake. A fully functioning wetland offers the ability to strip out nutrients entering the lake and to enhance biodiversity values and habitat for threatened species in the wetland itself. Benefits to native fish communities and native birds (matata/fernbird, weka, spotless crake) are expected. 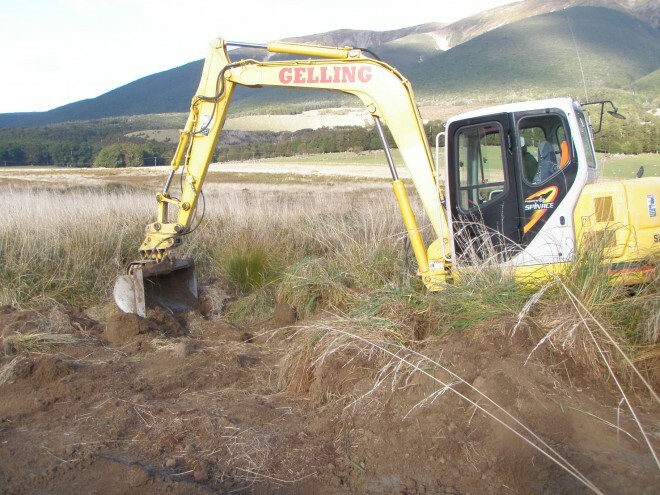 The area is already being trapped for mustelids by the Rotoiti Nature Recovery Project. DOC commissioned a hydrological restoration plan in 2009 including design of a network of small dams, and filling in the deep channels. In July 2010 resource consent for restoration work was obtained from the Tasman District Council and community views were sought, with strong support from all quarters. Sandra Wotherspoon and Dave Rees from DOC are running this project with a budget of $10,000 from Fauna Recovery New Zealand, and work began on site in autumn 2011.